" Peter Higgs, a British physicist, won the nobel prize today. His work inspired my crime thriller, Church of the God Particle. The novel's main charact Peter Higgs, a British physicist, won the nobel prize today. His work inspired my crime thriller, Church of the God Particle. 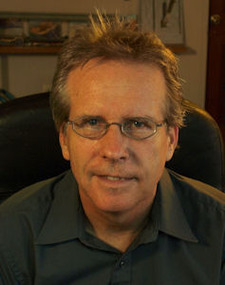 The novel's main character is a landscape painter who develops a unique perspective as the book evolves. www.DavidPiperWriting.com ...more "
We’d love your help. Let us know what’s wrong with this preview of Rabbit at Rest by John Updike. I loved this book even though a book about crazed teenage girls isn't really my thing. High-quality prose. We’d love your help. Let us know what’s wrong with this preview of Dare Me by Megan Abbott. We’d love your help. Let us know what’s wrong with this preview of Killshot by Elmore Leonard. We’d love your help. Let us know what’s wrong with this preview of Hit Lit by James W. Hall.
" Kloe wrote: "hmm well iv just submitted my very first book.. had 1 or 2 autovetter errors..had to resize my cover image ect, but when i click on 'pend Kloe wrote: "hmm well iv just submitted my very first book.. had 1 or 2 autovetter errors..had to resize my cover image ect, but when i click on 'pending review' at the top of the page it says 'needs modificati..."
Same problem with a slight revision of my novel, Kloe. I contacted Smashwords support and they said it should be accepted by EOD yesterday, but no luck yet. I'll just keep pinging them. Fortunately, the older version is still available and I also published with Kindle seperatly. ...more "
" Alan wrote: "Literary fiction isn’t a genre so much as a style of writing within which the plot is secondary to the way the characters are portrayed. Alan wrote: "Literary fiction isn’t a genre so much as a style of writing within which the plot is secondary to the way the characters are portrayed. It isn’t primarily about telling a story so much as revealin..."
Nice explanation, Alan. ...more "
" A.F. wrote: "I'd love some feedback on the trailer for my new book, Reflections of Poetry: http://www.youtube.com/watch?v=WFEsqn..."
It work A.F. wrote: "I'd love some feedback on the trailer for my new book, Reflections of Poetry: http://www.youtube.com/watch?v=WFEsqn..."
It worked for me--put me in a brief state of relaxation. I connected some of the images with the displayed words, but others I didn't. I liked it best when I could make the connections. I also think the best connections are subtle rather than overt. Nice work... ...more "
I'd love to do an interview. My novel opens with a meteorite strike near Austin that leads to murder. Description: Inspired by subatomic physics, a preacher starts an unconventional church. He launches an outlandish experiment that careens out of control and leads to murder.